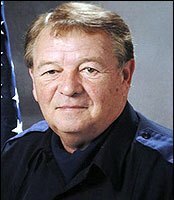 Birmingham lost three officers June 17, 2004. 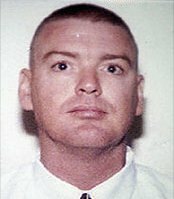 Four officers went to serve a warrant and three of the four were killed with an SKS assault rifle. and Officer Carlos Owen, 53, who had been on the force for 26 years. 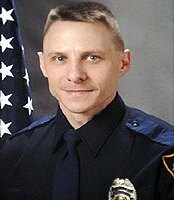 Chisholm was hired in 1998, and Bennett had been a Birmingham officer since 2001. The community has been in shock. 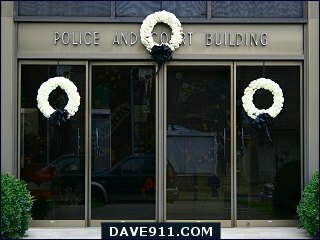 A wreath for each officer was placed on the front of the precinct. Officers came from all over the United States to attend the funerals for the fallen officers. Today, a memorial service was held for the three officers. 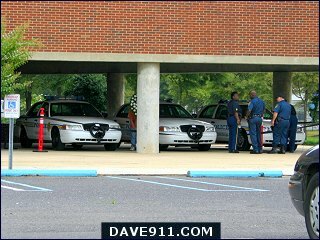 Each officer's car was parked at the entrance to the auditorium with a black wreath on the grill and their blue lights on. While no department can plan enough to handle such a situation, I'm impressed with how Chief Nunn and all the officers have handled this senseless tragedy. God bless the souls of the officers and comfort their families.